The Superman Fan Podcast: Episode #314 Part II: Superman Family Comic Book Cover Dated November 1960: Superman's Girl Friend Lois Lane #21! 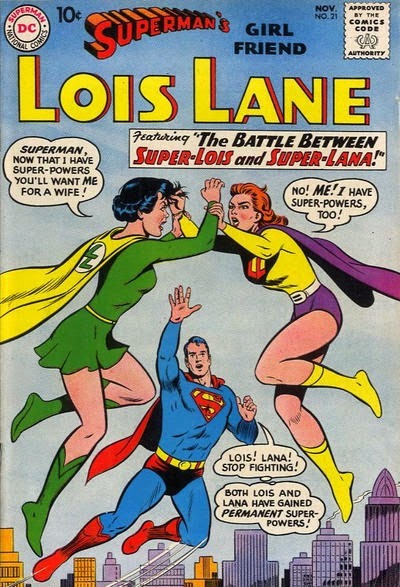 Episode #314 Part II: Superman Family Comic Book Cover Dated November 1960: Superman's Girl Friend Lois Lane #21! Superman's Girl Friend Lois Lane 21! Download Episode 314 Part II! SUPERMAN'S GIRL FRIEND LOIS LANE 21, November 1960, was published on September 22, 1960. It contained 32 pages for the cover price of a dime. Mort Weisinger was the editor, and the cover was pencilled by Curt Swan and inked by Stan Kaye and Kurt Schaffenberger. It featured the issue's second and final story. Both stories have been reprinted in SHOWCASE PRESENTS: SUPERMAN FAMILY vol. IV. Kurt Schaffenberger drew both stories. - DOLLS OF DOOM (17 pgs. 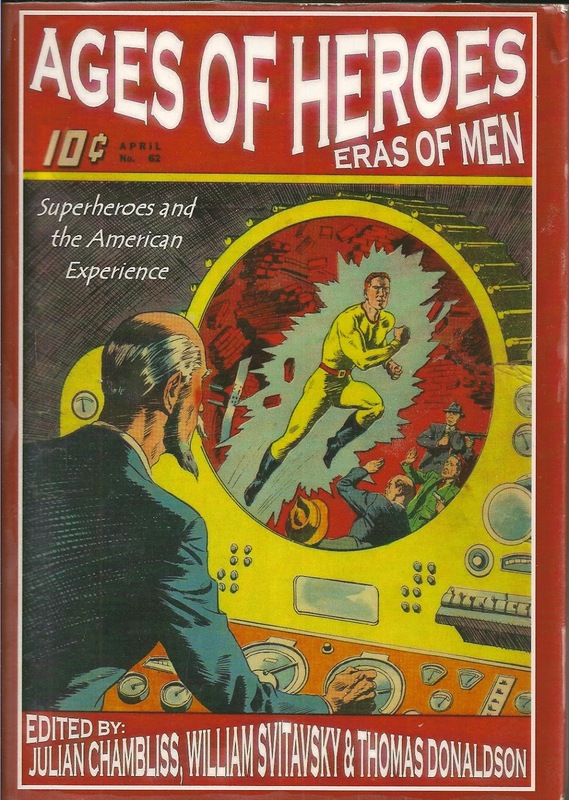 ), was written by Edmond Hamilton, according to Mike's Amazing World Of DC Comics, while the Grand Comic Book Database lists the writer as unknown. Kurt Schaffenber drew the story, which has been reprinted in SUPERMAN: THE BOTTLE CITY OF KANDOR. - Part I was titled THE LOIS LANE DOLL (9 pgs.). - Part II was titled TRAPPED IN KANDOR (8 pgs.). - THE BATTLE BETWEEN SUPER-LOIS AND SUPER-LANA (9 pgs. ), was written by Jerry Siegel, according to the Grand Comic Book Database and comicbookdb.com, while Mike's Amazing World Of DC Comics lists the writer as unknown. This was Siegel's 103rd silver age Superman Family story, and his 149th of this era. Also highlighted in this episode are this issue's ads and other features, including the LETTERS TO LOIS column. During my introduction to this episode I also review the book, AGES OF HEROES ERAS OF MEN, edited by Julian Chambliss, William Svitavsky and Thomas Donaldson, published by Cambridge Scholars Publishing and also available at Amazon.com. Elsewhere in DC Comics, 30 titles carried the November or November/December 1960 cover date, which were covered at the end of Episode 228 for the week of Wednesday, May 30, 2012. Next Episode: SUPERMAN COMIC BOOK COVER DATED OCTOBER 1963 PART I: SUPERMAN 164! In 2 Weeks: SUPERMAN COMIC BOOK COVER DATED OCTOBER 1963 PART II: ACTION COMICS 305! In 3 Weeks: SUPERMAN FAMILY COMIC BOOK COVER DATED DECEMBER 1960 PART I: SUPERMAN'S PAL JIMMY OLSEN 49! In 1 Month: SUPERMAN FAMILY COMIC BOOK COVER DATED DECEMBER 1960 PART II: WORLD'S FINEST COMICS 114!